Not surprisingly, the prompt that follows “white” in the Big Book o’ Photography Prompts, is “black”. And you know, I’m a person with varied interests, I have a life, and GOD AS MY WITNESS I did not want to take the easy way out and just take another photo of my perfectly gorgeous cats, black though they are. I’m fending off the inevitability of my cat-lady-hood as long as possible, though it’s really just a matter of time. So I have been wracking my brain trying to figure out what to use as a suitable subject for “black”. My wardrobe? The handles on my cooking utensils? Peppercorns (interesting, but we’d have to go to the store and it’s icy out, so…no)? 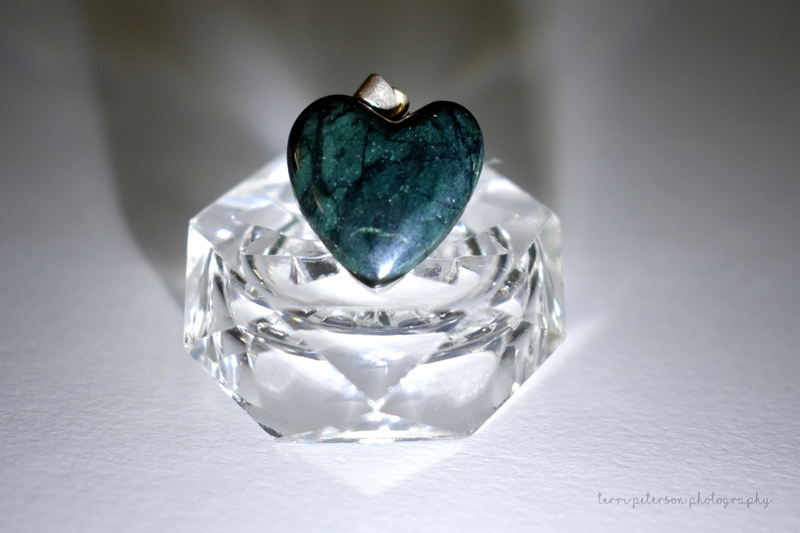 And then I remembered this pendant. 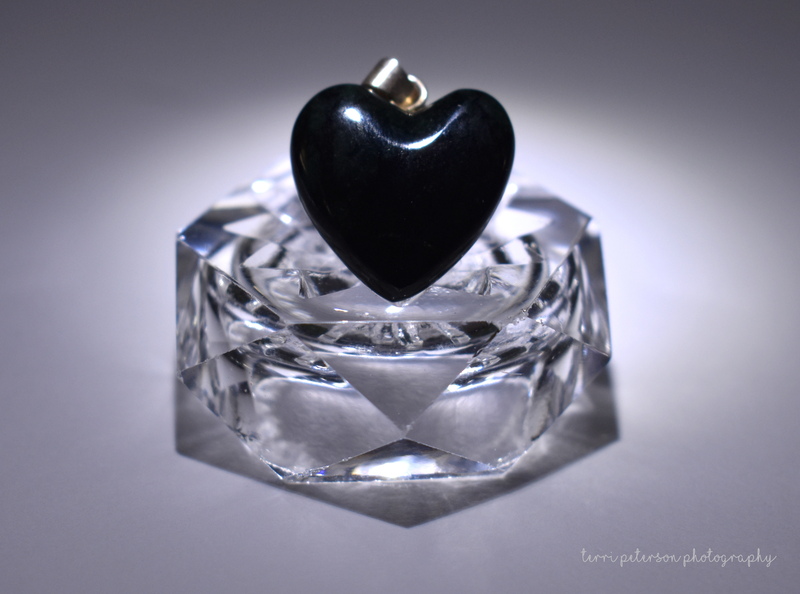 Ten thousand years ago, when my ex and I still liked each other, he did a study-abroad semester in Belize and in one of his adventures through central America, bought me a black jade heart. Black jade, besides looking cool as hell, has lots of magical woo-properties that you may or may not believe in. But you can’t deny that it looks super-cool, and as a side effect I (quite understandably) want to listen to some Joan Jett right now. And as always, perspective matters. Shift the light ever so slightly, and you’ll find that the black jade is..? All you gotta do is shine a little light on the subject. Funny how things change. Also, here’s my favorite Joan Jett tune. Because you can’t mention Joan without rocking out a little and if I don’t do this now I will have an earworm all day.